I have been lusting after a new camera for a couple of months. I wanted go full frame and mirrorless. Pretty much the only name in that game right now is Sony. They have a tasty piece of gear in the A7 R III which I’ve not heard bad things about from really anyone. The only beef people seem to have with it is battery life. It has a tn of great features and is reviewed and talked about all over so I won’t go on about it and I’ve not given up on the upgrade. Just waiting on a better time to do it. My Canon 70D is holding me up just fine right now. What I have found is that I feel very uncomfortable walking around the city, any city, with a big DSLR hanging off my neck. People look at you, people shy away if you want to grab a street shot, and less annoying but distracting, people gravitate toward someone with a DSLR to hand you their camera to take their picture. I really don’t mind that last one, but it does sometimes break my concentration a bit. 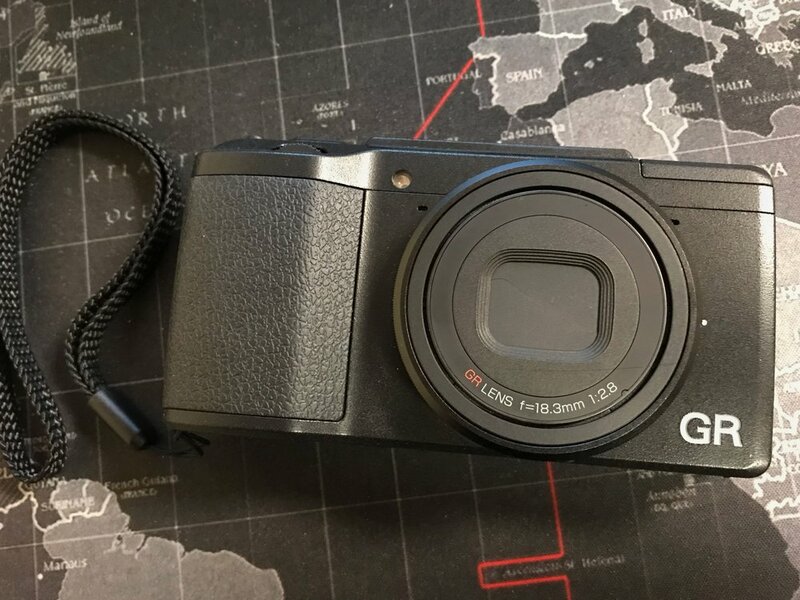 So I started poking around at “point and shoot” cameras and quickly found the high praise for the Ricoh GR II to be pretty universal. I’ll link a couple of videos below. The price was right, around $500 and the size was killer. It is smaller than my iPhone 7 plus and is easy to use one handed with a little proper setup. I pulled the trigger, even knowing that a new version was due soon. It arrived Friday and I’ve had a bit of a chance to shoot with it. Nothing spectacular, but I’m really happy with the quick snaps. I can’t wait to get to a big city and really test it out. One thing I always do with new gear is grab some shots of my pack. And a couple of tests including a double exposure. The double exposure got me thinking about a possible “project” and I am going to see where that leads too. The following videos are from a couple of YouTube channels I follow.